Dreamlike apartments in Alta Badia with heated pool & Finnish sauna, kids’ playground and much more! 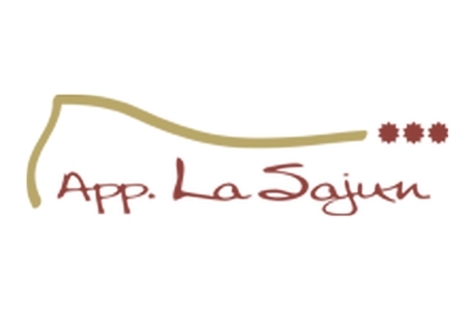 Welcome to apartments La Sajun in La Villa! 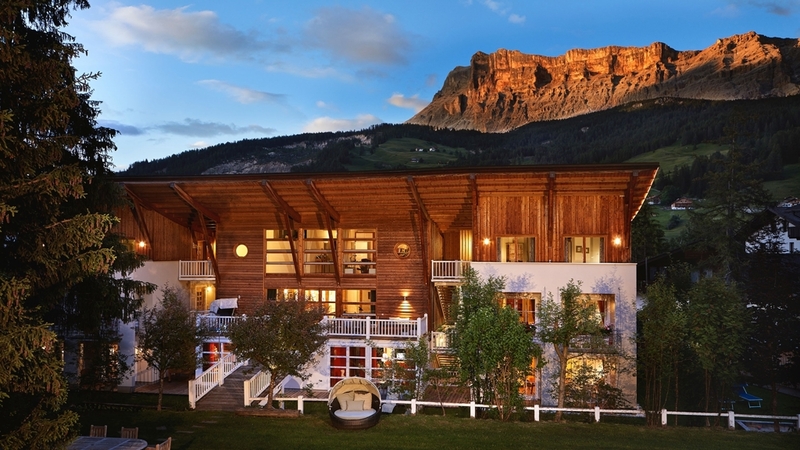 In La Villa in Alta Badia, embedded in the wonderful Dolomites, you can find the apartments La Sajun, a very special destination for your holidays. Be it in summer or in winter, we guarantee active and relaxing holidays leaving no wish unanswered. The apartments are light-filled and furnished in modern country-style and with loving attention for details. They are composed of two rooms, a large living room with sofa bed and satellite TV, a well-equipped kitchen with dishwasher, a bathroom with bathtub and hairdryer and a large terrace, facing the sunny side of the house overlooking the garden. As well, we offer our separate atelier for 2 persons with spacious bathroom, romantic double bed, kitchen and spacious living room. In the garden, there is also a nice playground for our younger guests, while the parents may relax in the sun. For the hot summer days, we offer an inviting heated pool, the Finnish outdoor sauna as well as barbecue facilities on the terrace. In winter, we have a ski room with ski shoe warmer and Skibus for the slopes of Alta Badia skiing area is located only 30 m from our apartments. Bike rental, Gratis Skibus, Sunshade, Deckchair, Ski depot in the house, Multilingual receptionists by day, Pets allowed, Dog-friendly accommodation, Family-friendly, Barbecue facilities, Secured storage spaces for bikes and motorbikes, Pool/beach towels, Express check in/check out, Int he village centre, Quiet position, Shops in the environs, above 1000 m a.s.l.